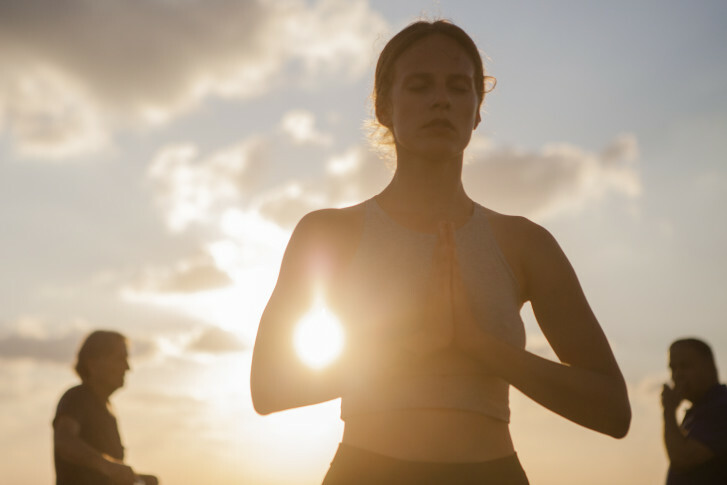 Nowadays there are many types of yoga classes to choose from — hot yoga, power yoga, vinyasa glow — but have you ever considered yoga with a Christian twist? WASHINGTON — Nowadays there are many types of yoga classes to choose from — hot yoga, power yoga, vinyasa glow — but have you ever considered yoga with a Christian twist? Sherrell Moore Tucker is the creator of Faith and Flow Yoga, based in Prince George’s County. She began taking yoga when she was diagnosed with arthritis in her 20s. “I was active duty in the Army and the doctor actually recommended that I take a yoga class, and at first I thought it was a little boring so I didn’t stick with it, but some years later I was still experiencing a lot of pain and decided to give it another shot and I fell in love with the practice,” Tucker said. In her new book, “Transparent Faith: Lessons learned from the plan of faith,” she talks about why she decided to teach yoga. “I really just wanted to provide people of the Christian faith with an opportunity to experience the same types of benefits that I experienced in the practice, but I wanted to offer it to them in a way that met them right where they were and didn’t compromise their faith … that it would actually compliment their faith,” Tucker said.